Supply list will be emailed to registered participants. Hi, I'm Nicole Neblett, the mama behind Mama Love Quilts. If you love modern quilts, bold colors and graphic designs, then you'll feel right at home at Mama Love Quilts. If you've always wanted to make modern quilts or if you're already a modern quilter looking for fresh inspiration and new ideas, then you've come to the right place. 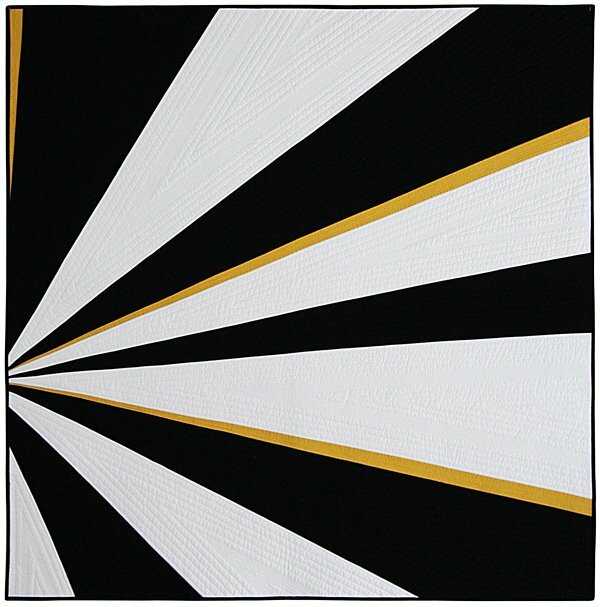 In 2012, I started Mama Love Quilts to create a community of people who love modern quilting and who want to learn more about designing and creating modern quilts. I believe that we can all design and create quilts that we love. When we ask, "What if?" we start to wonder about the possibilities. As we explore new techniques, we take the first step to create something that will be cherished for years to come. I started my quilting journey over 15 years ago when I was in graduate school looking for a creative outlet. Since then, I've made many quilts and learned a lot about quilt design and sewing techniques along the way. My inspiration comes from everyday objects and places. I use that inspiration to turn ideas into quilted reality with traditional and improvisational techniques. My quilts have been featured at QuiltCon, on a variety of websites including Spoonflower, Craft Gossip, Sew Mama Sew, FaveQuilts, and in several publications including Modern Patchwork, Modern Quilts Unlimited, Quilting Arts, and Lucky Spools? Essential Guide to Modern Quilt Making. I've learned a lot along my quilting journey and continue to learn something with each new quilt. Modern quilting gives me a sense of accomplishment and satisfaction. I want to give that same feeling to YOU. Whether it is by sharing the quilty lessons I've learned or providing inspiration, I hope that Mama Love Quilts gives you the information you need to create modern quilts of your own. Won't you join me?